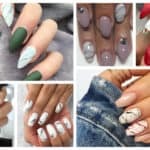 Is it time for your new manicure? 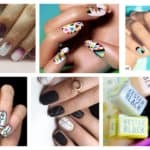 You are probably searching the internet to find some cool ideas that will get your mani looking fabulous. 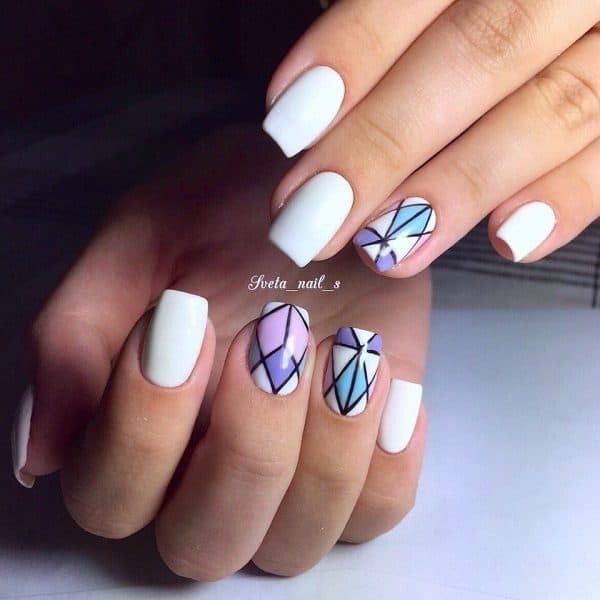 I’m going to lend you a hand and get your imagination going with some extraordinary nails designs which feature geometric figures. 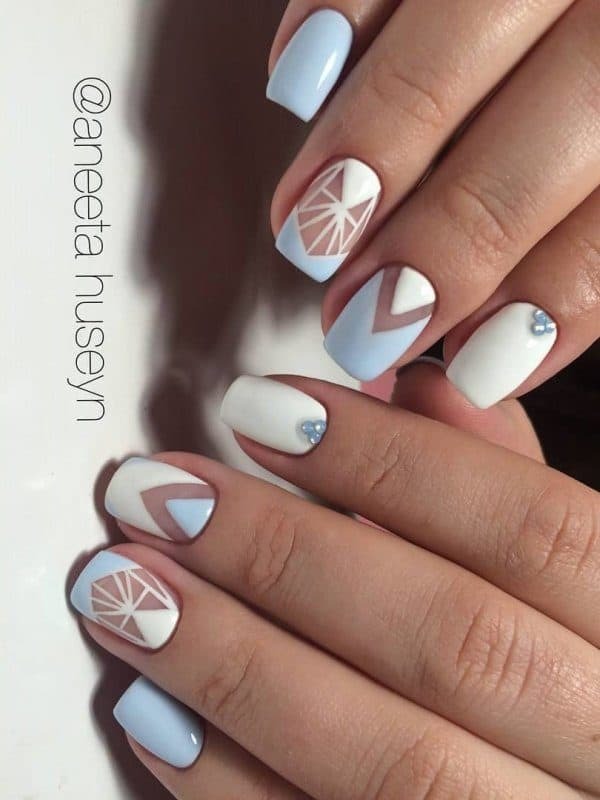 The geometric nail art can be both simple or complex. 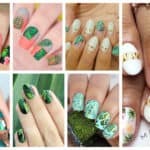 You are going to spot lots of shapes in lots of different colors and your nails can be pretty unique and one of a kind. 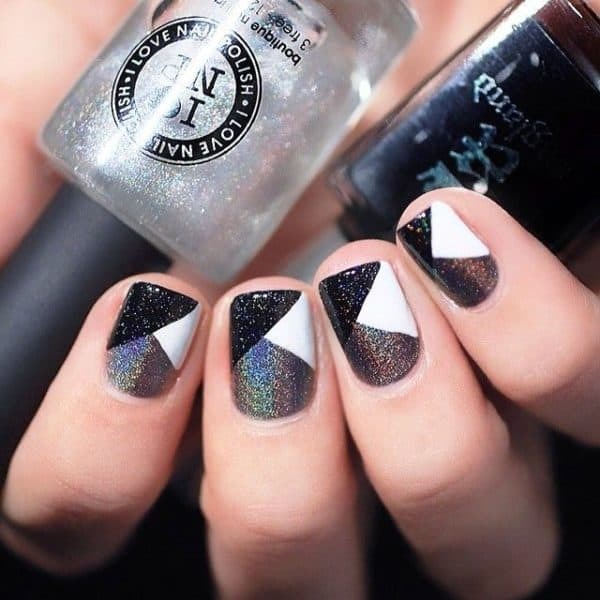 The Eye-Catching Geometric Manicure Ideas will grab your attention and everyone else’s too. 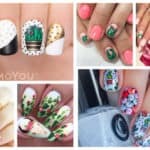 You can get really creative with these nail designs and come up with your own ones or just recreate the one you like the best from the photos below. 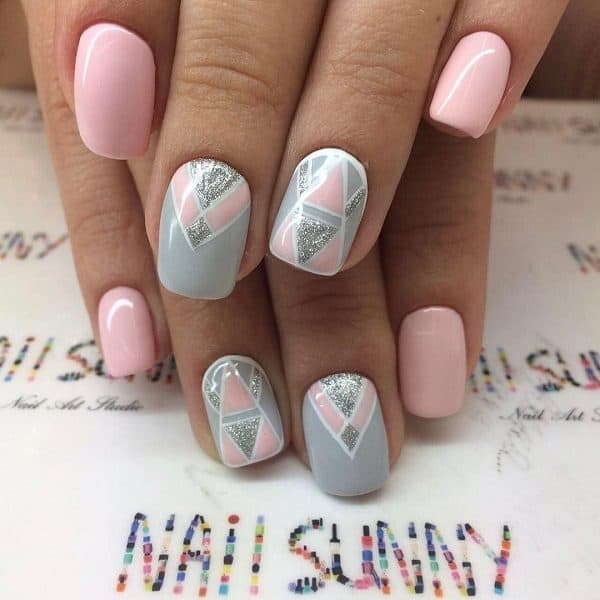 Scroll down and enjoy the lines, triangles, circles, quadrangles, rectangles and diamonds and put them together to fascinate everyone with your manicure. You are going to love the sharp lines and the plenty of possibilities you have with them. 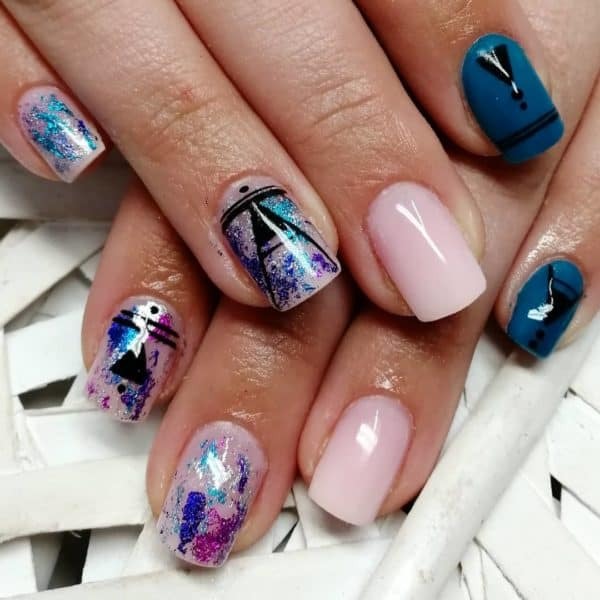 What do you say about a mismatched nail design? 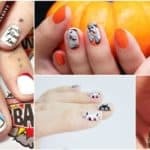 Have fun and draw a different figure on each nail if you want a bold nail design. 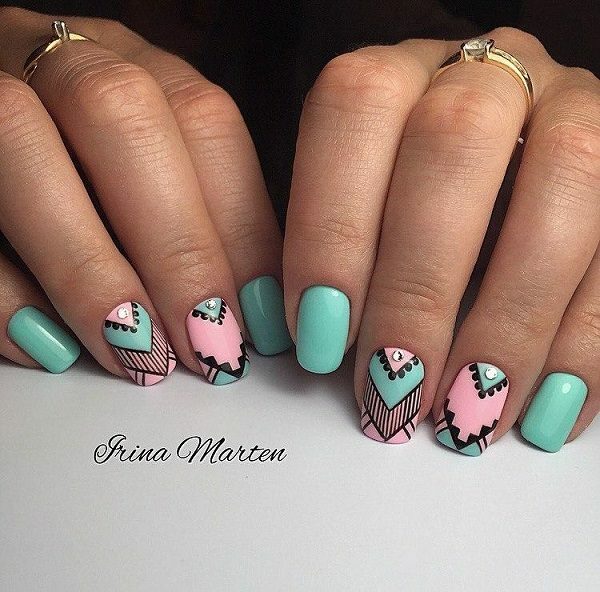 This is one complex nail art, and if you have extra time you should really recreate it. 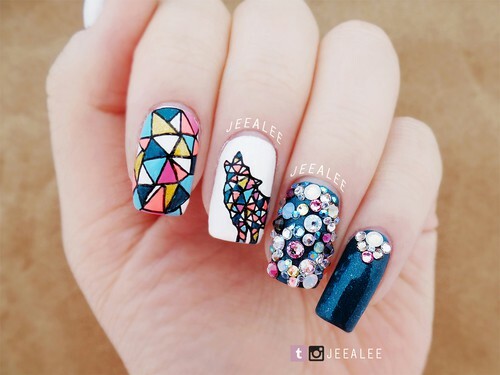 The wolf designed in geometric shape looks totally stunning! 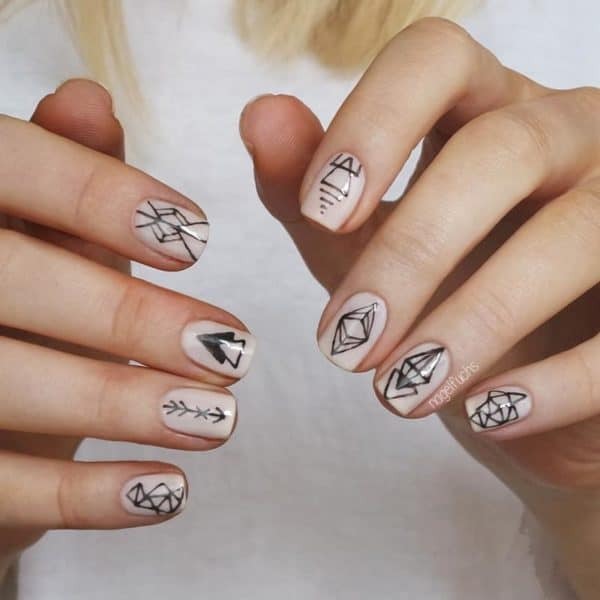 Yes, this nail art requires lots of time and patience but it’s worth it. You have to be extremely careful when you draw the figures in order to give it a perfect look. Striping tape can be of a great help, so don’t forget to use it if you want to do it more easily and quickly. 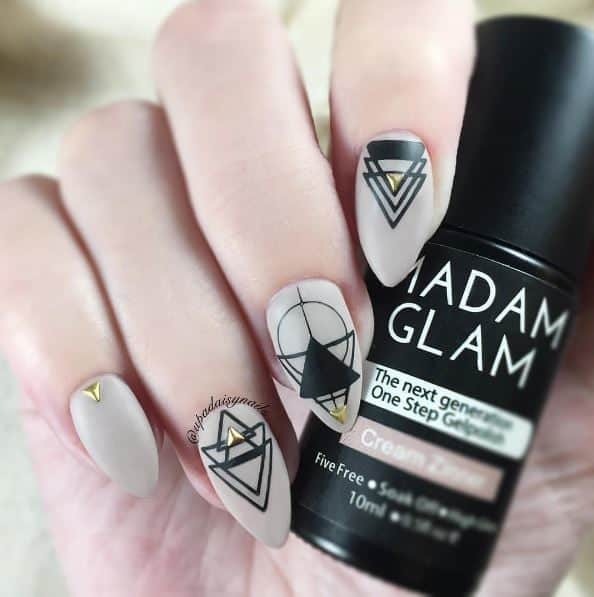 The geometric nails aren’t a new trend but they are here to stay for a while thanks to their sophisticated look. 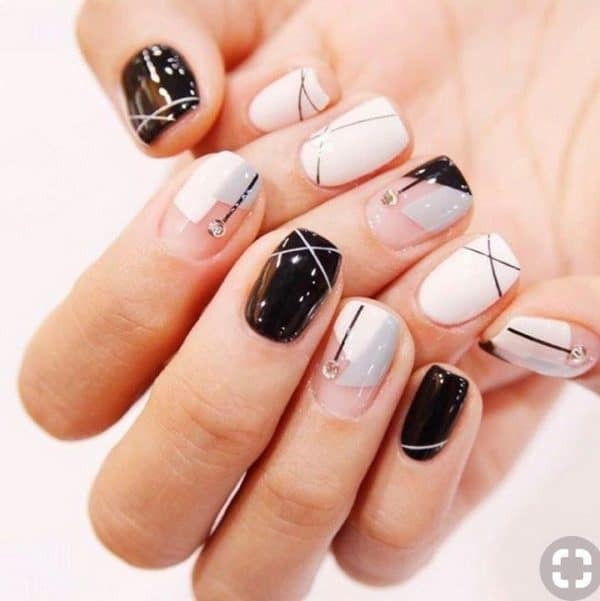 If you are sick and tired with all the other nail trends, this is the one that you should stick too if you prefer to have elegant manicure. 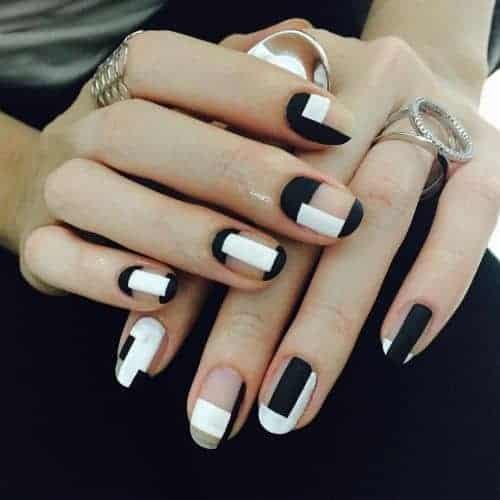 You can play with negative space as well when it comes to the geometric nails! 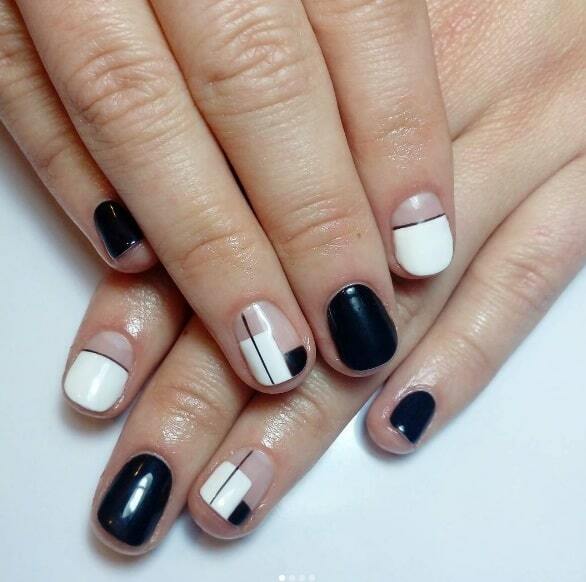 Here comes one of my favorite manicure ideas! How do you like it? 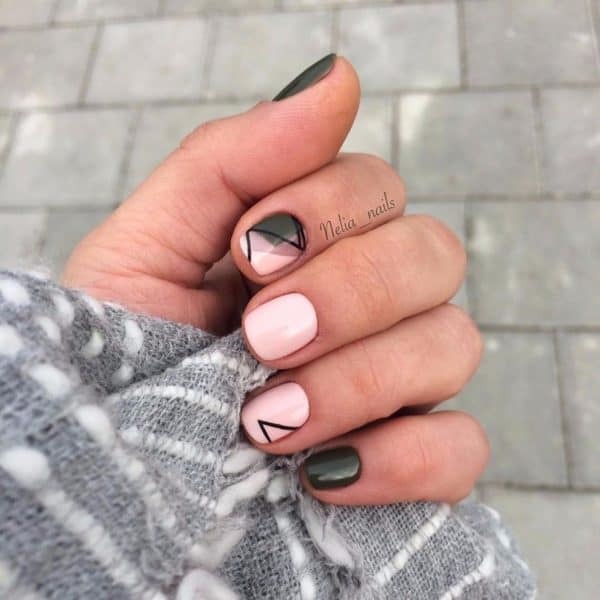 You can even use beautiful tape and leave it to be part of your manicure! Take a look at this gold one. 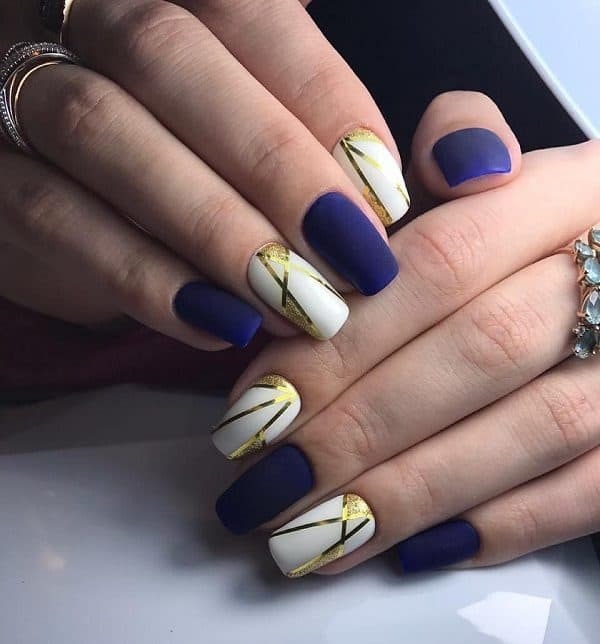 It really makes the nails look spectacular! 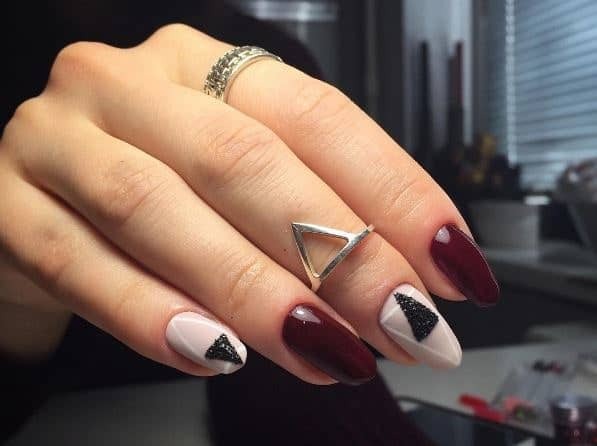 Would you like to gave your nails decorated in the geometry mood? Let me know in the comments below!